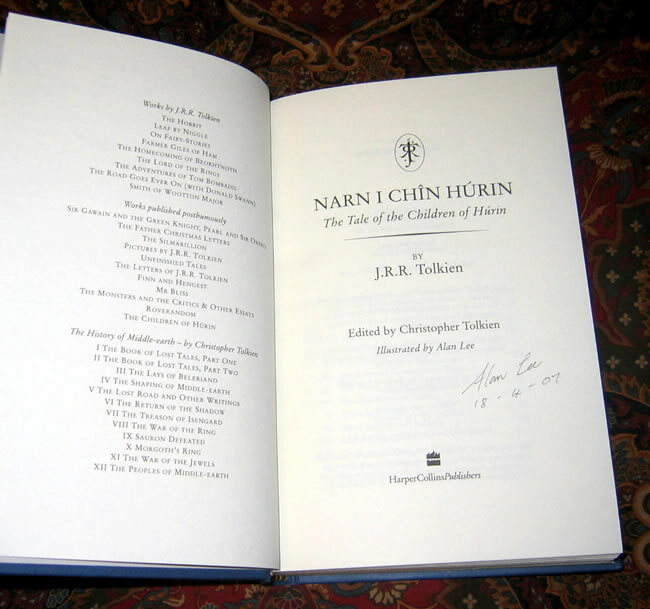 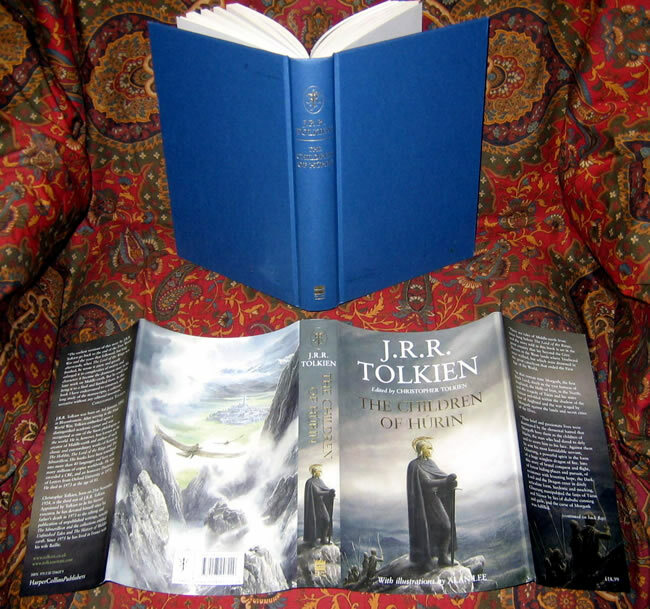 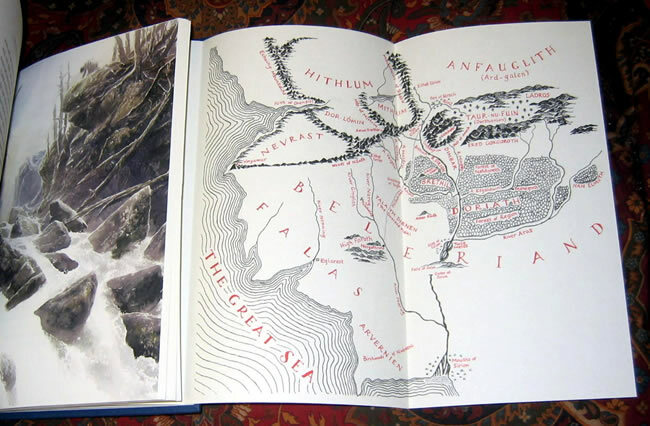 #000478 - The Children of Hurin, UK 1st Edition, Signed & Dated 4/18/2007 by Alan Lee on the title page - $160.00 Includes a copy of the London signing event flyer. 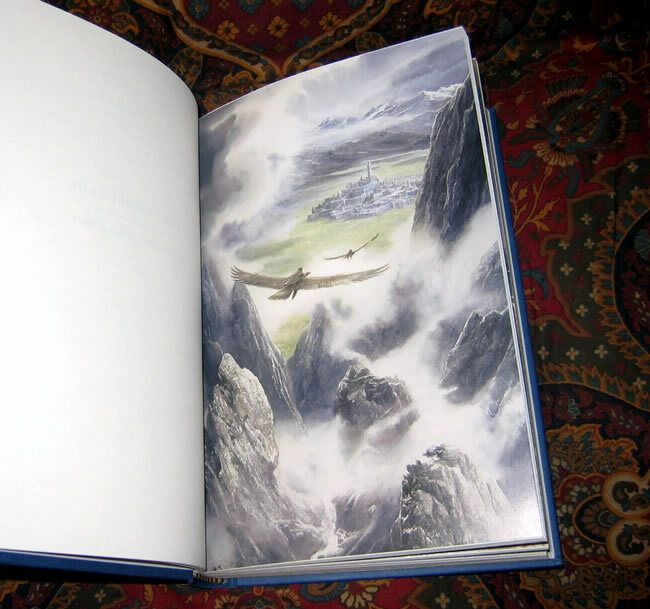 Signed by the illustrator, Alan Lee, and dated April 18th, 2007 on the title page. 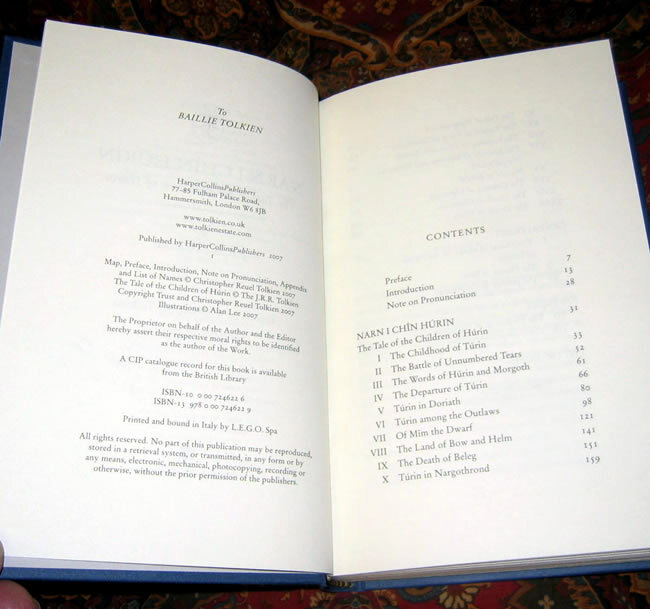 This copy is unread, but does have a couple of small marks on the boards from the signing event.